Sometimes we get too scared to stay put where we are when we see that everyone seemed to have moved on, but maybe staying put is God's way of letting us grow. As much as I would love to follow my heart, I know that it does not make the best decisions. So I learn that before I go with what my heart is telling me, I should tell my heart where to go and who to follow. In this case and in every other case, it's Jesus. I just feel blessed with the people around me. Maybe God hasn't blessed us with tons of material wealth, but look around us and see those smiling and encouraging faces... and mehn, WE ARE RICH! Hehe! I have great support and technology has helped a lot with that - FB, Viber, text. It's there to keep you connected. Don't compare your growth to those around you, mind your own growth! But stop comparing yourself to others, and compare yourself to yourself years ago. Ask yourself the hard questions and be honest enough to answer them. That is what I am trying to get a hold of lately. Hehe! I am not there yet, but I know that it is a struggle that I have to win over. What I lack for in appetite last week, I more than made up for this week. I just kept stuffing my face every few hours. 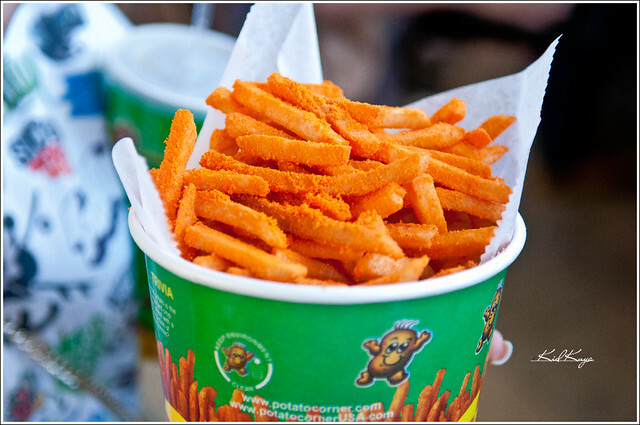 Whether it's the Dunkin Donuts' munchkins, Potato Corner's Cheese-flavored fries, or Chef Tony's popcorn... where they are, I'm there! Haha! For the past months since I started running this blog, I have constantly been on my toes in making sure my posts are peppered with pictures to make it enticing. lol. And I have also monitored my daily traffic. Hehe! While it is good to make the post entertaining, I have to remind myself that it has to be relevant and enriching. But words are good -- words heal, move and inspire. Words are powerful.